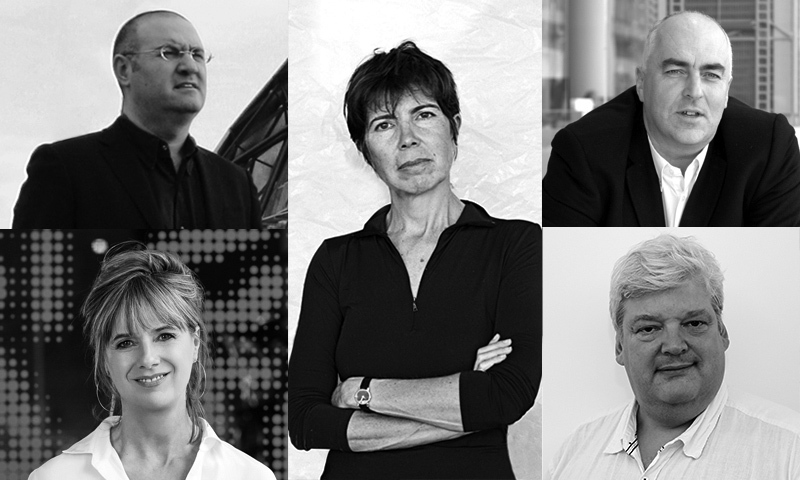 The Bartlett School of Architecture has appointed five distinguished figures as Visiting Professors: Andy Bow, Elizabeth Diller, Amanda Levete, Josep Mias and Jeremy Melvin. The Bartlett School of Architecture has appointed five distinguished figures from practice, design and media as Visiting Professors. The recipients of the honorary awards are: Andy Bow, Senior Partner at Foster and Partners; Elizabeth Diller, Founding Partner of Diller Scofidio and Renfro; Amanda Levete, Founding Partner of AL_A; Josep Mias, Founding partner of MiAS Architects; and Jeremy Melvin. The awards recognise the significant influence these figures have upon the school, as well as affirming their future relationship with the school and UCL in years to come. Elizabeth Diller is a Professor of Architecture at Princeton University and a founding partner of Diller Scofidio + Renfro (DS+R), a New York City-based practice that works at the intersection of architecture, the visual arts, and the performing arts. DS+R’s international body of completed work includes the Roy and Diana Vagelos Education Center at Columbia University Medical Center, New York; the Berkeley Art Museum and Pacific Film Archive, University of California, Berkeley; The Broad, a contemporary art museum in Los Angeles; Lincoln Center for the Performing Arts Redevelopment, New York; and the High Line, Manhattan. Among DS+R’s numerous awards are the Centennial Medal from the American Academy in Rome; the National Design Award from the Smithsonian Institution; the Brunner Prize, an Obie Award; the American Institute of Architects’ President’s Award; and the American Institute of Architects’ Medal of Honor. In 2009, Elizabeth Diller and Ricardo Scofidio were named by Time Magazine as two of the 100 Most Influential People in the World. Elizabeth Diller is a Trustee of The Cooper Union, serves on the Board of Directors of the Municipal Arts Society, and serves on the Board of Advisors at the Storefront for Art and Architecture. Ms. Diller is a Fellow of the American Academy of Arts and Letters, is a Fellow of the American Academy of Arts and Sciences, and is an International Fellow at the Royal Institute of British Architects (RIBA). Amanda Levete is one of the UK’s leading global architects, with an award winning catalogue of projects notable for their innovation and excellence in design. She became a partner in the influential practice ‘Future Systems’ in 1989 and is credited with transforming their previously theoretical and paper based work into seminal buildings, most notably the Selfridges department store in Birmingham and the Lord's Media Centre, which won the prestigious Royal Institute of British Architects' Stirling Prize in 1999. Following the sudden death of her partner at Future Systems, Jan Kaplicky, in 2009, Levete established a new practice ‘AL_A’. Levete has established AL_A as a pioneering practice of the early 21st Century, that has attracted some of the best talent worldwide to London, and has executed a series of seminal projects including the remodelling of Galeries Lafayette Haussmann in Paris, a 1.5 million sq ft luxury shopping mall and hotel in Bangkok, a new centre for the cancer care charity Maggie’s in Southampton, MPavilion in Melbourne, and the Museum of Art, Architecture and Technology (MAAT) in Lisbon. The practice is also working on their much anticipated expansion of the Victoria & Albert Museum in London. For over a decade, Amanda was a trustee of both leading social innovation centre the Young Foundation and the influential arts organisation Artangel. This year Amanda Levete began teaching at the Bartlett School of Architecture, running a design unit on the MArch Programme with AL_A directors Ho-Yin Ng, Alice Dietsch and Max Arrocet and Raffael Petrovic. Josep Mias is known worldwide for works such as Fontanals Golf Club, Banyoles City Center Urbanization, Barceloneta Market, 22@Plug-in Barcelona Building, and the iGuzzini Barcelona Corporate Building among others. Principal of award-winning practice Miàs Architects of Barcelona since 2000, he is committed to research and experimentation, and new approaches to technology, fabrication and construction. He is Design Development Professor at Escola Tècnica Superior d'Arquitectura de Barcelona, and has lectured around the world. Mias was Associate Architect at the highly influential Enric Miralles Architects from 1990 till 2000, developing numerous projects including the Círculo de Lectores in Madrid, Sports Hall in Huesca, Centro de Alto Rendimiento in Alicante, Library in Palafolls, Parc dels Colors in Mollet del Vallès, Cemetery in Igualada, Scottish Parliament in Edinburg, Diagonal Mar Park, Santa Caterina Market and Gas Natural Building en Barcelona. He is the winner of many national and international Awards and has also been recognized for International achievement by American Institute of Architects NYC, COAC (Architects’ Association of Catalonia), and the Universitat Politècnica de Catalunya, Barcelona. Since 2013 Mias has developed both teaching and research roles at the Bartlett School of Architecture where he brings a fresh and vibrant attitude towards innovative building design. His knowledge and skill across building technology, structures, drawing and model-making as well as spatial planning is both highly distinct and highly influential. Jeremy Melvin is an architectural historian, a curator, a writer, a journalist, and a regular consultant to the profession and broader audiences on matters of architectural history, politics, and practice. He has held a number of key influential roles including; 1996-7, Director, the Architecture Foundation, 2000-2014, Development of architecture programme, Royal Academy of Arts, and 2007- present: Curator World Architecture Festival. He curated ‘Richard Rogers: Inside Out’ (2013) – the RA’s first large scale exhibition on contemporary architecture for more than 10 years. He is the author of six books on architecture, several key research papers the Journal of Architecture, and the Journal of the 20th Century Society, and 100’s of articles in leading professional journals, broadsheets, and magazines. In 2016 he edited ‘175 Years of Architectural Education at UCL’, a publication that traced the pioneering history of The Bartlett School of Architecture and contextualized it recent international acclaim within the progression of the profession and its links to UK academia. It was published as a special edition of The Architectural Review with 15,000 copies distributed worldwide. Jeremy has also recently founded ‘Thinkspace’ a new event series for UCL led by The Bartlett School of Architecture, and supported by The Backstage Trust.